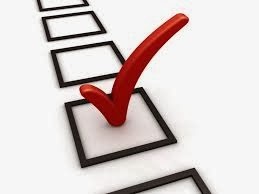 Century Cycles Blog: Take our Customer Satisfaction Survey, get a 15% OFF Coupon! Take our Customer Satisfaction Survey, get a 15% OFF Coupon! It's been a long time since we've done a survey. We always appreciate your feedback, whether it's in our stores, via email, or on Facebook. But now, we'd really like to know what we're doing well, and what we could do better. We know your time is valuable. That's why if you take our survey, you'll be rewarded at the end with a coupon good for 15% OFF any single item from our clothing or accessories. The survey should take about 10 to 15 minutes to complete. Be sure that your computer is connected to a working printer so that you can print the 15% off coupon at the end of the survey.